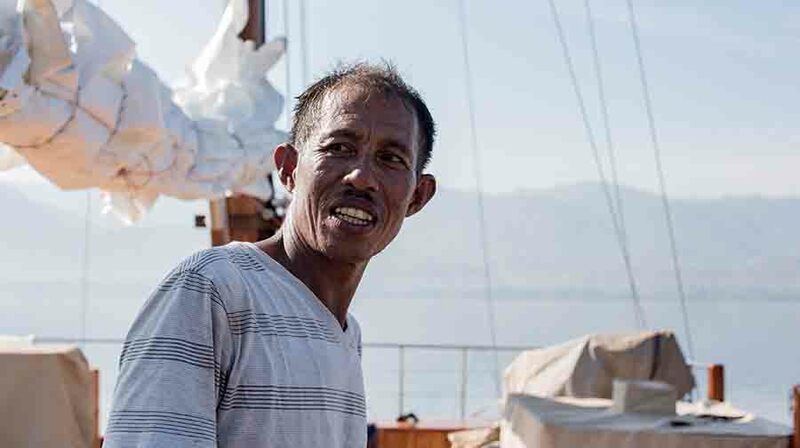 Since 2006, Yessi has traveled much of the Indonesian Coral Triangle. She noted back then that it was a difficult area to travel with limited transportation options and a poorly developed infrastructure. She saw an opportunity to provide luxury exploration in this jewel of nature; the most biodiverse marine region of the world. The tool to facilitate this exploration was not available. If you wanted to explore this area as a family or small group, you had to compromise safety and comfort on rickety and unsafe boats or ferries. It seemed obvious that the area could not develop without safe, reliable transportation and lodging. 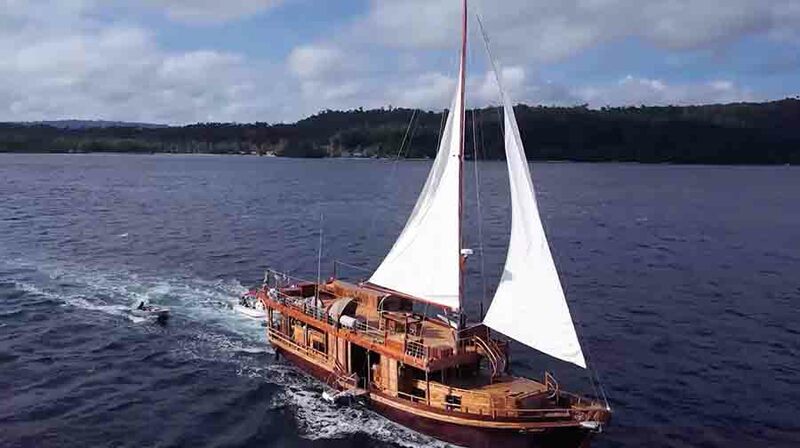 Yessi’s goal was to build a family yacht for safe and comfortable sea safaris within the Indonesian Coral Triangle. 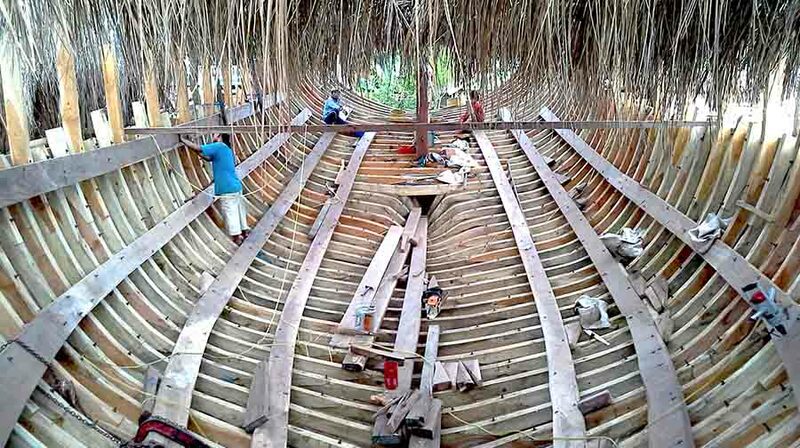 Building a luxury scuba diving boat starts with the acknowledgment that the hull structure and mechanical systems need to withstand a very hostile environment. Careful consideration needs to be given to each system and how they all interact. 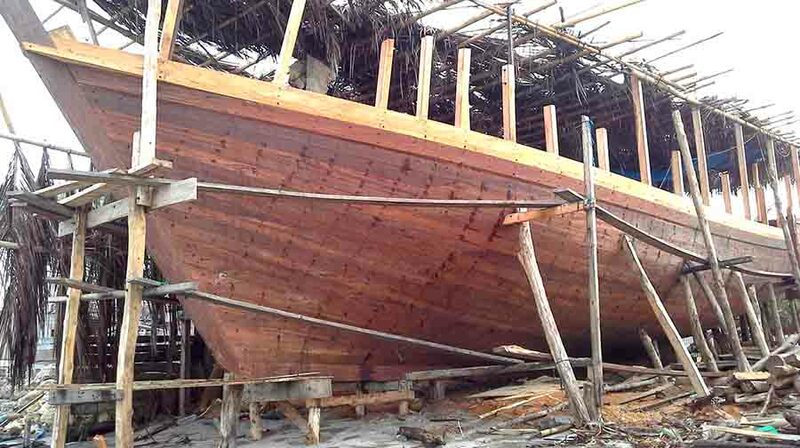 The primary requirements are that the hull needs to be watertight and super strong. Anchoring needs to be sure in all weather. Propulsion needs to be 100% reliable and able to go non-stop at 1700 rpm for 10+ days at a time. Water makers, GenSets, Communications, and all other critical systems need to be redundant and in working order before setting sail. Everything connected by electricity, diesel, or gasoline needs to be serviced and replaced-access is important. 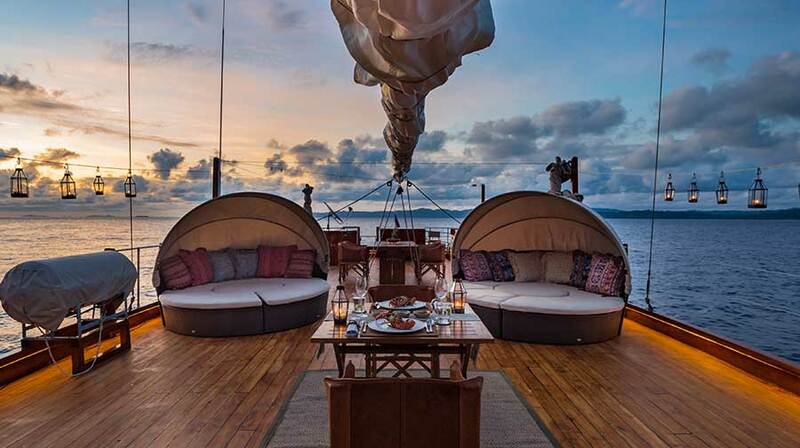 Building a luxury yacht is like building a small city, as you need to supply all the comforts of home but in a remote area of the Pacific Ocean. On top of the standard primary boat requirements, you need to produce fresh drinking water the from surrounding seawater, produce and store 4 voltages of electricity: 12 & 24 VDC, 120 & 240 VAC, store and remove grey and black water, provide the most sophisticated navigation, fuel filtration, scuba diving fill station, kitchen stove LPG, Air conditioning, etc. All systems need to be robust and reliable and redundant if at all possible. All materials need to be marine grade or better. Proper carvel planking requires sealant (3M 4200) between the planks made for specific underwater requirements. This along with pounded chalk rope keeps leaks between the planks at a minimum. The hull is also undercoated with a marine growth inhibitor. To hold all of the hull structure together, silicon bronze (97% copper) fasteners were used to maximize hull life. There are 3 anchoring systems from Maxwell Marine, New Zealand with appropriate American anchor chain. It is imperative the anchoring systems be robust and reliable. It is best to have two anchoring systems in the bow and one in the stern of the boat. This allows for the most flexibility in positioning in a channel. Generally, the vessel needs to navigate the Pacific Ocean for up to 10+ days non-stop at a time in all weather. 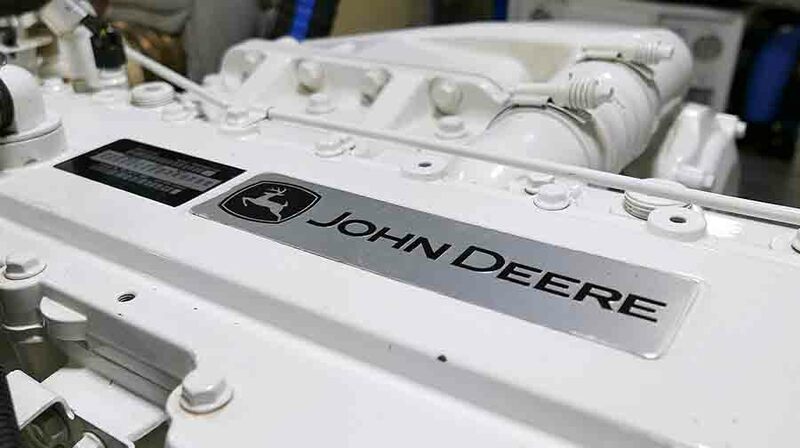 For selection of a main engine, Yessi decided to install a Continuous Duty (24/7) Tier III Emissions standard John Deere 6090 AFM with 325 hp . The transmission is a ZF 325-1 with a 3:1 ratio. 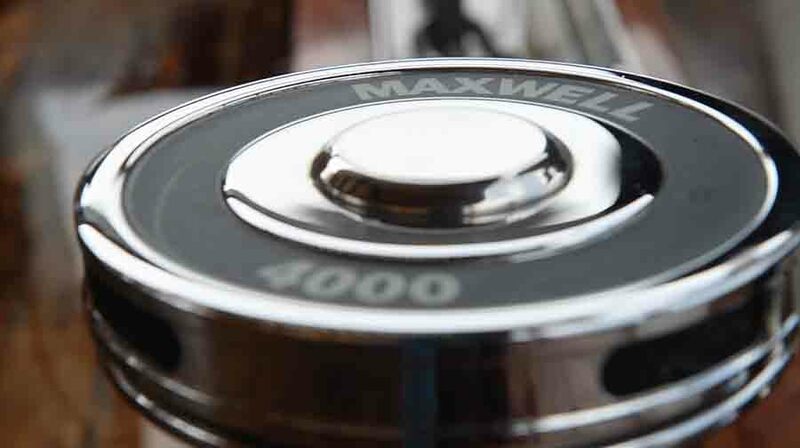 It produces maximum torque of 1003 lb ft at 1700 rpm. It is important to Yessi and the guests that our carbon footprint is minimized and that the engine is clean, strong, and able to propel Sequoia for many years without fail. 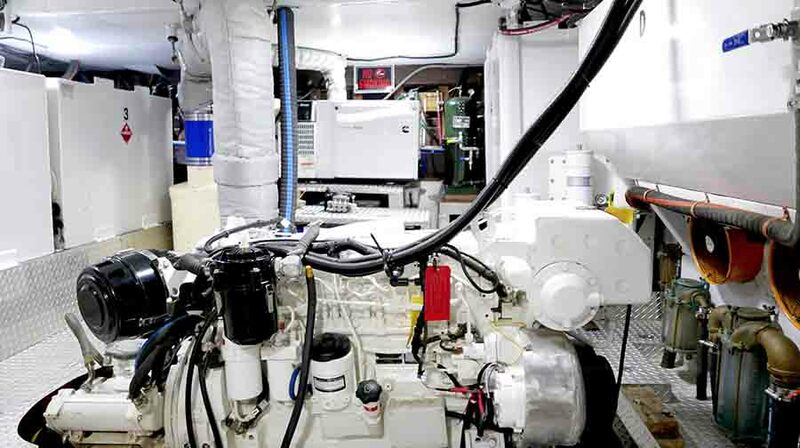 This newer engine introduces many new technologies into the Indonesian marine market. 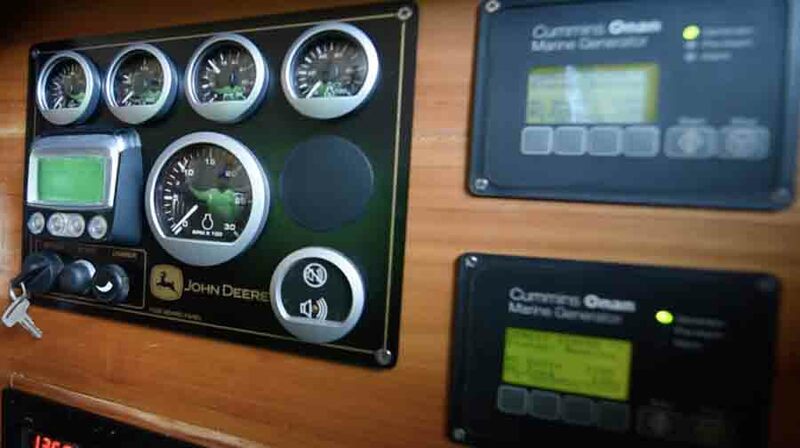 Computer driven “fuel on rails injection” and “turbo exhaust” have enhanced performance of these new diesel marine engines. But they must be maintained properly with appropriate fuel polishing (filtration) to remove fine grit and water from the fuel. Sophisticated wet exhaust system results in a no smoke or diesel smell coming from Sequoia’s main engine or electrical generators. This attention to environmental impact is an important consideration and appreciated by everyone. 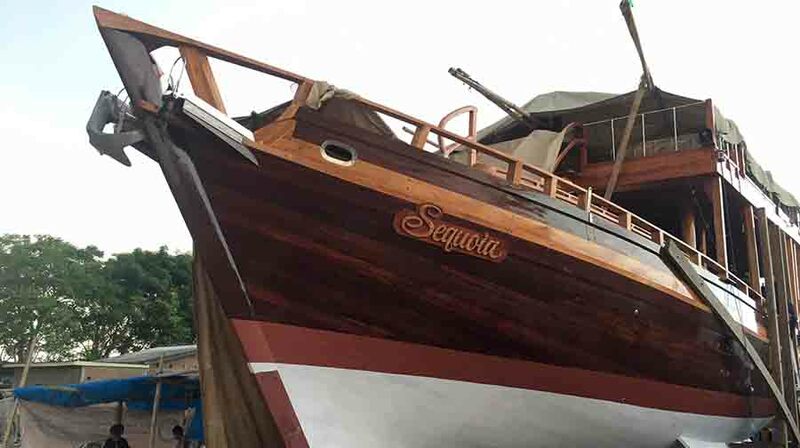 While navigating in all weather, Sequoia needs to make and hold up to 7 tons of fresh water, store and transfer 7 tons of diesel, hold and transfer 2 tons of gasoline, hold and transfer 6 each 40 liter LPG tanks to kitchen. Sequoia must also be equipped and designed to provide activities: scuba/snorkel, kayak, SUP, Tubing, Skiing, and island exploration. This requires filling multiple dive tanks with mix gas Nitrox (air + O2) and readying all the gear for each guest. All components and installed equipment is USA standard and many of the components from USA have been designed and constructed using USCG/ABYA Safety Standards. A diesel Bauer DiveMate compressor fills a BL bank and scuba tanks. There are 8 sets of scuba gear to use for scuba/snorkel. There is also a variety of women’s, mens, and children’s sizes. Aluminum marine and food grade water tanks need to be fabricated from actual dimensions, which requires very careful coordination. Tanks that comply with USCG & ABYC are appreciated when waves and chop make tank contents sway under the boat but the required baffles slow the movement of liquid. Any potential source of leak needs careful scrutiny. All tanks need to be constructed and configured for reliability and ease of use. Access is also important to ensure there are no leaks or other obstructions. 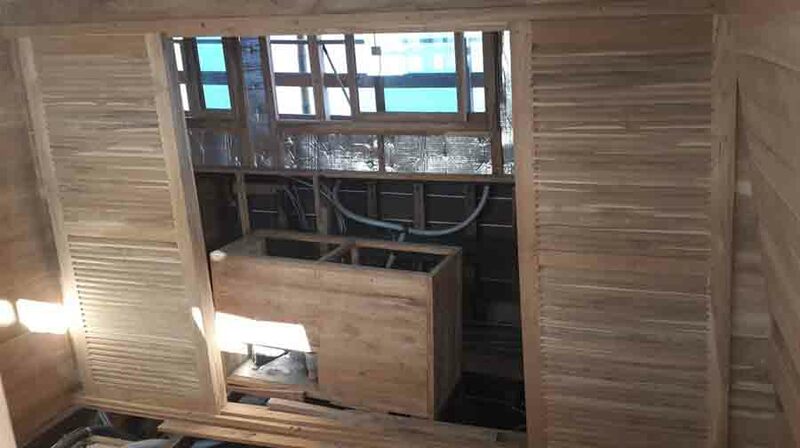 The wood construction plan is driven by the requirements of the final product. 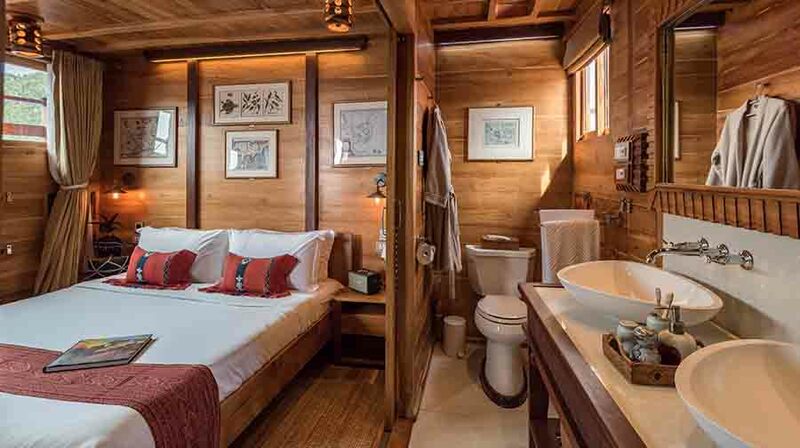 Once the over all layouts with dimensions are agreed to the challenges of wood and worker quality and availability are a constant source of attention. 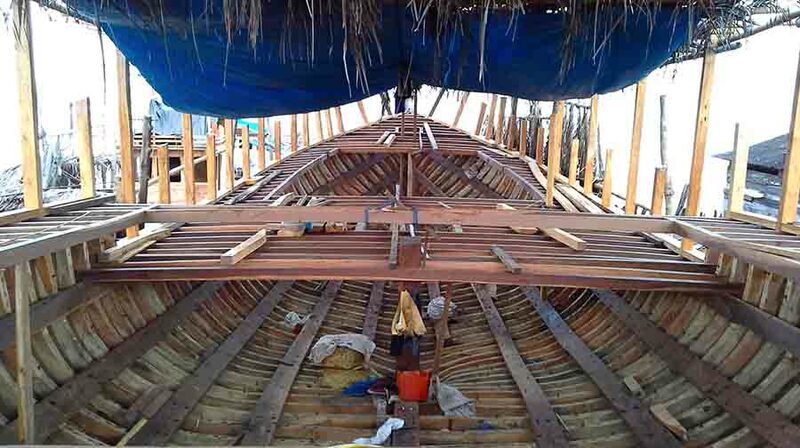 As the boat takes form, progress is dependent on the installation team carpenters ability to make the appropriate holes, restraints, and fasteners. 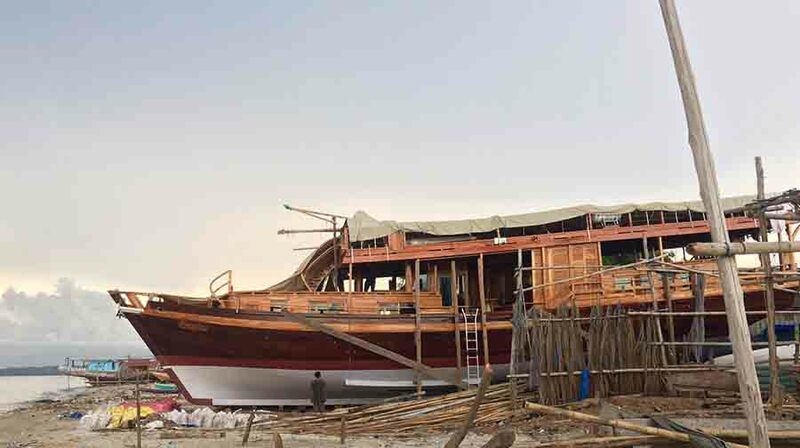 The boat is chiseled into shape with each mechanical system installed with the carpenters involved intently at every stage. Traditional wood, rather than steel or fiberglass, means that many of the support structures or access areas for mechanical installation were measured, modeled, and later permanently installed. There is a high degree of customization as each chiseled room takes form. It is important that appropriate space is provided for maintenance and removal, if required. 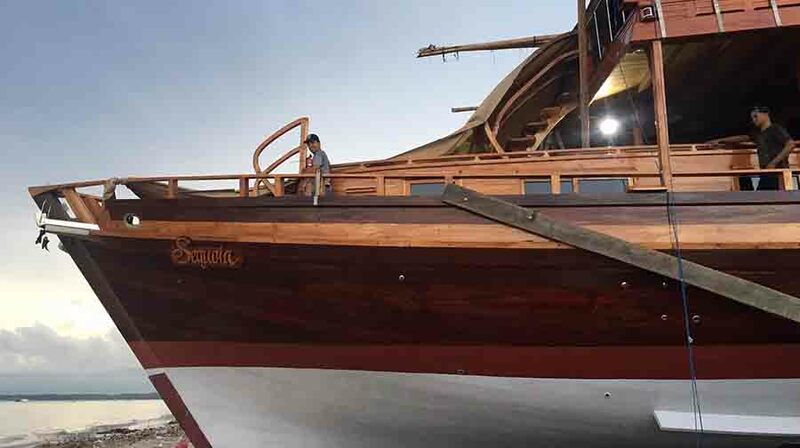 Sequoia combines the latest marine technology with ancient traditional wood boat building techniques. Areas are not square or symmetrical so complex pieces are sometimes required. All components and installed items need to be removed and replaced easily. Each installed component needs to rest and be secured somewhere within this irregularly shaped vessel. Space is at a premium and all areas are subject to motion from waves and swells. 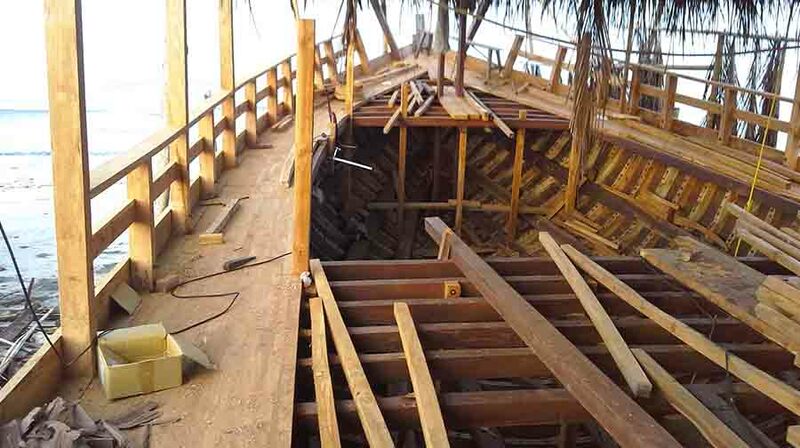 Each piece or component needs to fit and be secured during stress on hull particularly in rough weather. 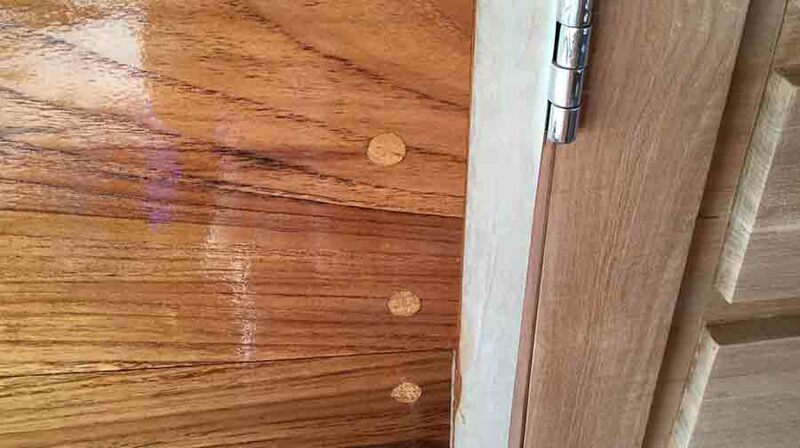 Sequoia has +10,000 copper fasteners below the water line to keep the superstructure of the boat strong. It takes many decades for fasteners of this type to start to corrode which ensures a solid structure. The secondary requirements include the production of fresh drinking water using Reverse Osmosis from Sea Recovery USA which requires constant maintenance. It is better to have two identical systems to ensure one is always able to produce water. Dow Membranes in standard 40” length with appropriate pre-filter 25/5 micro are recommended. Fresh water is one of the most important requirements for comfort. 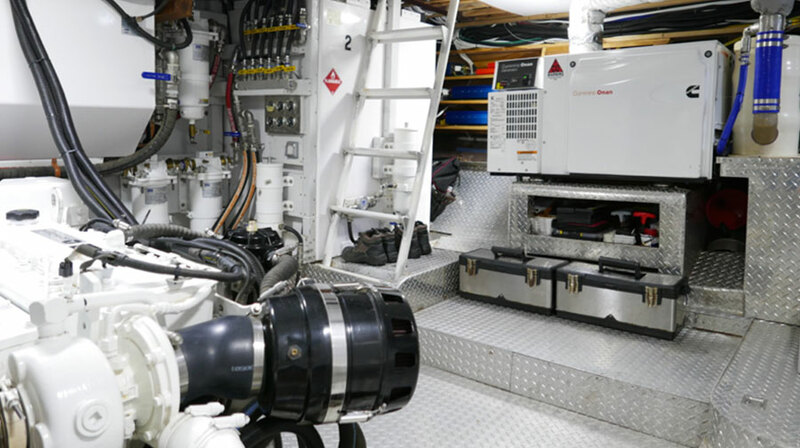 Two identical electrical 13.5 KW Cummins Onan generators are required to ensure that electricity is on demand. Like the water makers, these machines need constant monitoring and for filter replacement and or pump failures. 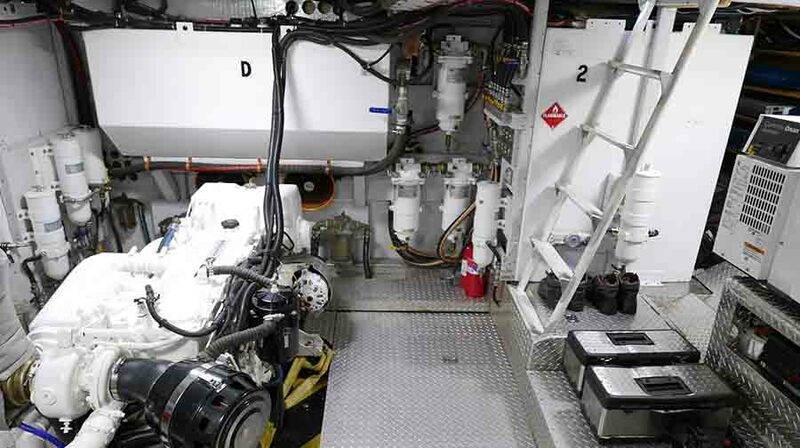 When maintained properly, modern marine electrical generators are highly reliable and quiet. Navigation electronics are vital to safety. Both Sequoia and the Boston Whaler are fitted with the latest Garmin gear for GPS, Sonar, Radar, and Chart-plotter. It is critical to have the most modern and sophisticated navigation equipment not only for longer sails but also to find a small reef for superb diving. These coordinates are marked so they can be found easily on the next trip. All of this precious wood needs to be properly stained and protected with up to 7 coats of a clear protective barrier. AwlWood Protective coats from New Zealand are the product of choice aboard Sequoia. The goal was to build a super strong and sophisticated vessel that families and guests can enjoy for generations to come. Our oceans and reefs are too important and beautiful to pass up, especially in the most marine diverse area of the world-the Coral Triangle of Indonesia. light fixtures illuminate the night sky, as well as underwater lighting to see the magical sea below. Sequoia features three deluxe bedrooms with ensuite bathrooms, a spacious great room, sky deck, and gourmet kitchen. The Design emphasized space, privacy and comfort. Here, East meets West with modern, custom-made amenities, melded with an Indonesian tropical, island style designed to make you feel at home. Each of our bedrooms is created with every attention to detail. It includes an intricately, hand-carved king bed complete with the finest Belgian linens or Egyptian cotton of your choice. A luxurious en-suite bathroom made with Caesarstone offers timeless elegance, bringing your comfort aboard Sequoia to new heights. 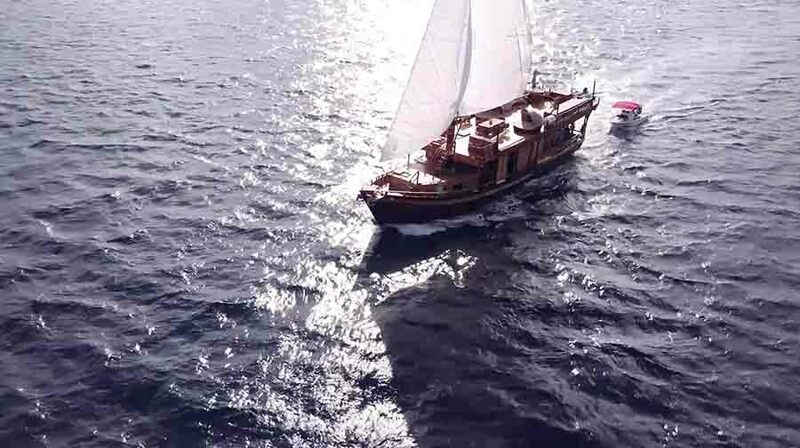 Enjoy all the comforts of home, while sailing throughout a tropical paradise. 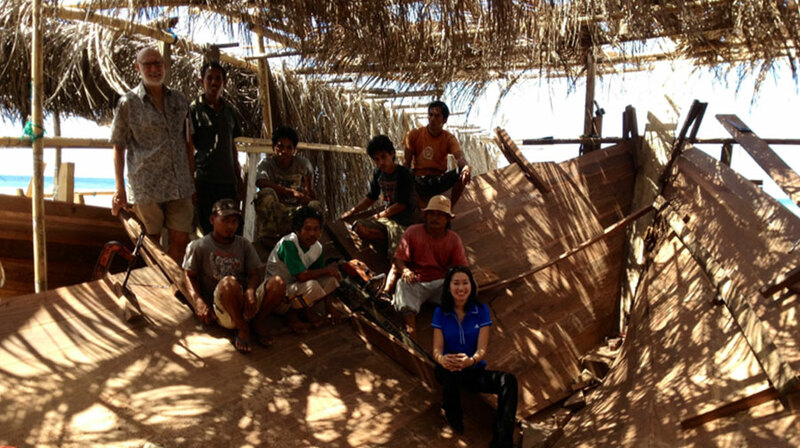 Yessi and the original group of Sequoia Yacht builders, South Sulawesi 2014.